According to data obtained from the Continuing Survey of Food Intake by Individuals (CSFII), children who ate take-out food consumed significantly more total energy (187 kcal), more added sugars (26g), more total fat (9g), more sugar-sweetened beverages (228g), less milk (-65g), less fiber (-1.1g), and fewer fruits and non-starchy vegetables (-45g) than children who did not. The current society is always hard-pressed for time. Thus, convenience is a way of life. Often, individuals do not have the time or the energy to shop for fresh food and then cook meals at home. So, they resort to eating take-out food, meal after meal. This trend has also been associated with the increasing prevalence of obesity in the United States. 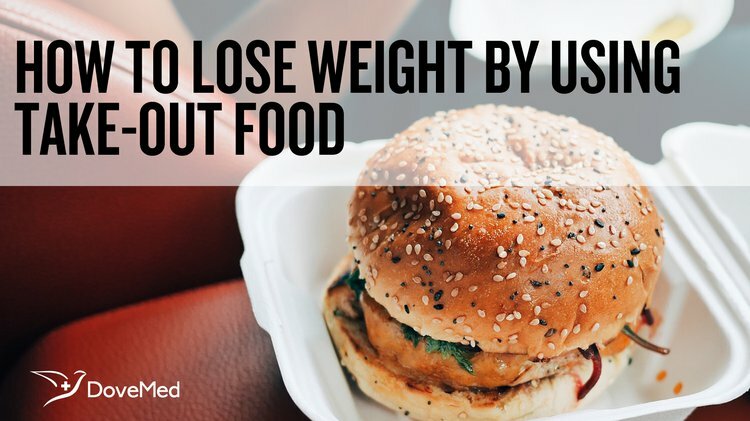 Even though food is only one of the factors affecting body weight, one should give take-out food some thought, if you want to maintain your current weight or if you are aiming to lose weight. By making certain informed choices about eating take-out food, individuals can reduce their calorie consumption and lose weight, if not prevent the addition of extra calories. Choose low-fat, low-calorie items on the menu: Food items that have been broiled, roasted, baked, steamed, roasted, or poached, have less fat than fried foods. Sauces with mustard or broth have a lower fat content than those with butter or cream. A low-calorie soup or salad can be eaten as an appetizer. Use nutrition information sheets to select food items: Restaurants may have nutrition information about their products in their stores or on their websites. Using this information, individuals can decide on what to order and in what quantities to order. Ask for modifications in food preparation: While ordering from a restaurant, individuals can request that certain dishes be cooked and packed in a healthier way. For instance, instead of fried chicken along with salad, one can ask for grilled chicken with the salad. One can order food without cheese and croutons, and opt for low-fat dressings. Eat vegetarian meals: When buying take-out food, order vegetarian food items from time to time. One can request for steamed vegetables in place of the usual side dishes and eat fresh fruit for dessert. Exercise portion control: Individuals can control a number of calories consumed by ordering a half portion or sharing a meal with a companion. The focus should be more on the quality of the food, instead of the quantity. According to a US study reported in the Journal of the American Medical Association in 2003, food portion sizes for individuals aged 2 years and above increased greatly between the period 1977 and 1996, with the exception of pizza sizes. Thus, the bottom-line is that in order to make the calories consumed via take-out food count, you should watch the portions size and the nutritional value of the foods ordered. Since take-out food can be an everyday occurrence for some individuals, you must cultivate a habit of ordering smartly, in order to avoid unnecessary weight gain. French, S. A., Story, M., Neumark-Sztainer, D., Fulkerson, J. A., & Hannan, P. (2002). Fast food restaurant use among adolescents: associations with nutrient intake, food choices and behavioral and psychosocial variables. International journal of obesity, (25), 1823-33. Pereira, M. A., Kartashov, A. I., Ebbeling, C. B., Van Horn, L., Slattery, M. L., Jacobs, D. R., & Ludwig, D. S. (2005). Fast-food habits, weight gain, and insulin resistance (the CARDIA study): 15-year prospective analysis. The Lancet, 365(9453), 36-42. Patrick, H., & Nicklas, T. A. (2005). A review of family and social determinants of children’s eating patterns and diet quality. Journal of the American College of Nutrition, 24(2), 83-92. Young, L. R., & Nestle, M. (2002). The contribution of expanding portion sizes to the US obesity epidemic. American journal of public health, 92(2), 246-249. Smith, K. J., McNaughton, S. A., Gall, S. L., Blizzard, L., Dwyer, T., & Venn, A. J. (2009). Takeaway food consumption and its associations with diet quality and abdominal obesity: a cross-sectional study of young adults. International Journal of Behavioral Nutrition and Physical Activity, 6(1), 29. Larson, N., Neumark-Sztainer, D., Laska, M. N., & Story, M. (2011). Young adults and eating away from home: associations with dietary intake patterns and weight status differ by choice of restaurant. Journal of the American Dietetic Association, 111(11), 1696-1703.